During her darkest days suicidal Aimee Wilson had to be strapped to a life support machine to prevent her taking her own life. So determined was the troubled patient to kill herself she attempted to pull out the tubes administering her medication with her toes. Aimee, from Blyth, was diagnosed with a personality disorder after being sectioned at the age of 18. Medics believe the mental health problems that quickly engulfed her whole life were sparked by her inability to cope with the sexual abuse she suffered during her teens. 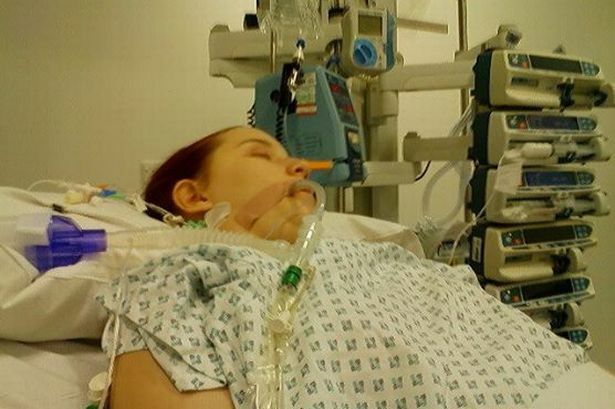 Aimee’s downward spiral was so great she became determined to end her life and had to be held in a specialist hospital where doctors had no option but to deliver her medication forcibly through tubes. However, less than six months after being discharged the 23-year-old is looking to the future after getting her own flat and starting over again. And she has now launched an online blog to help other sufferers of mental health problems by showing it is possible to battle back from the brink of death. Aimee’s problems began when she endured six months of regular sexual abuse at the hands of a man she knew. So terrified she would not be believed the then 15-year-old never reported the attacks to police. However, the mental scars stayed with Aimee throughout her teenage years. And as she sat her A-Levels the student began to hear voices in her head. As the stress of her exams and her undiagnosed condition got on top of her Aimee began taking high doses of prescription medicine in an attempt to block out her feelings. Then one day she passed out and was taken to hospital, and eventually sectioned for two weeks at St Nicholas’ mental health hospital in Gosforth, Newcastle. “It all happened so quickly,” she explained. “One minute I was revising for my exams and the next I was in a mental hospital. I was terrified. I had no idea about mental health problems. I just thought I must be going crazy. Aimee spent the next three years in and out of hospital and in 2011 was diagnosed with borderline personality disorder. Then when she refused treatment after taking an overdose she was admitted to the Royal Victoria Infirmary in Newcastle and put on a life support machine. “They had to give me the drugs through tubes because I just wanted to die,” said Aimee. In July 2012 Aimee was transferred to a specialist hospital in Yorkshire. As she recovered she decided to tell people what had happened to her for the first time. And she decided to write a blog about her experiences. Entitled ‘I’m Not Disordered’ Aimee’s honest account of her battle with mental illness has now been viewed more than 62,000 times. “I started it two years ago while I was in hospital,” she said. “At first I didn’t have much faith in it and I didn’t realise how big it would become. Aimee was discharged from the Yorkshire hospital last September. “Almost as quickly as it started it ended,” said Aimee. ”All of a sudden I didn’t want to kill myself. I wanted to live my life and recover. 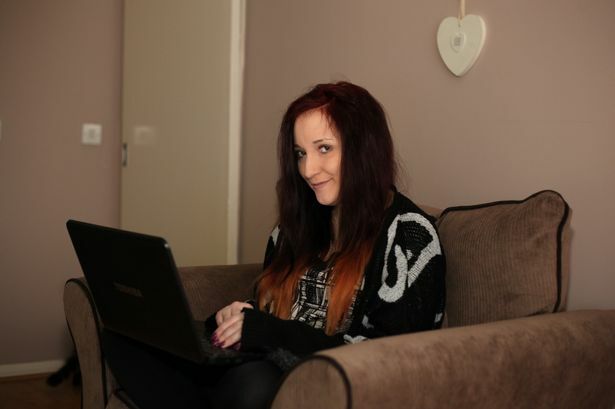 On December 1 Aimee moved into her own flat in Blyth and has begun volunteering for a charity that helps blind veterans. She has also been asked to take part in research studies at universities and to be part of a panel to improve services for mental health patients.